Oils on Cradled Gessobord, 8" x 8" x 1"
One inch cradle to the wall. This one was just a BEAR to paint. Sadly, I realized about half way thru that I should have reserved this Cradle Board for a landscape, since earlier I had coated it with orange tinted gesso and it was still really smooth. Like painting on glass, with the added problem of the orange underneath. Yikes! 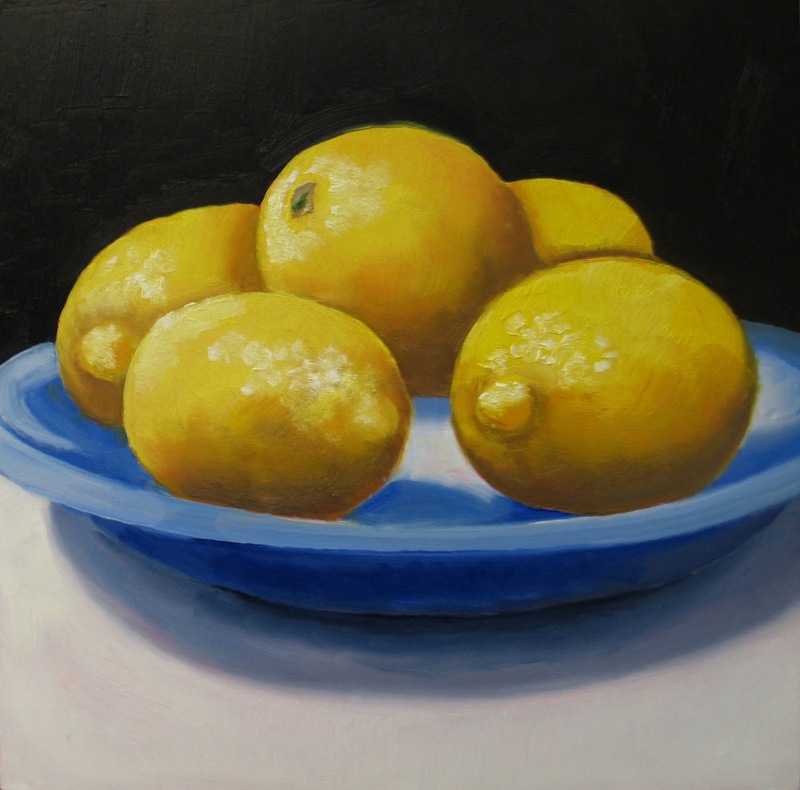 My paint kept slipping and sliding around, so I had to go fairly thick, which is not how I like to do still life. Oh, well, it's done now. Painted all around the edges, so no frame is needed.